Russ is a veterinary surgeon, owner and chief of staff of Veterinary Referral Surgical Service in California. Russ has been donating his time and resources to support Canine Companions since 1978; almost the span of our entire 43-year history. Russ originally got involved as a donor and by volunteering his services. Then he served on the breeding committee and helped with consultations. His involvement grew over the years and he joined the National Board of Directors in 1991. 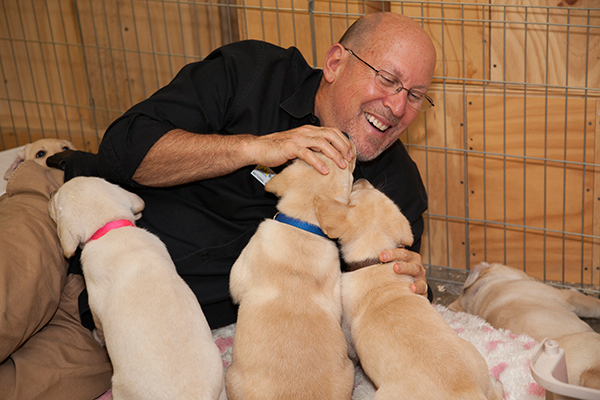 In addition to serving on the National Board of Directors, Russ is a member of Canine Companions’ research committee, helping evaluate and select research projects to advance our services as the premier assistance dog organization. He and his wife Terry are also members of the Monthly Miracle Maker program.